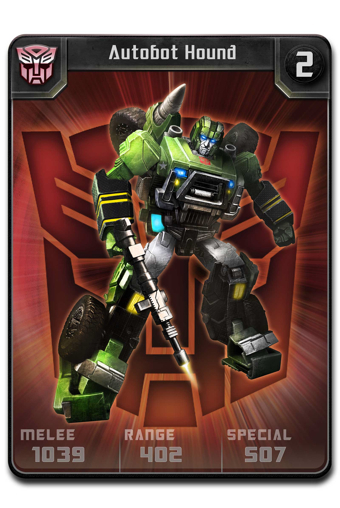 The fight between Autobots and Decepticons spills onto iOS and Android in this promising card game from ngmoco. Few intellectual properties are as big as Transformers. Here's a franchise that survived decades of competition while finding new ways to evolve, whether it's the spin-off, Beast Wars, or the immensely popular Michael Bay blockbusters. Optimus Prime, the rest of the good-natured Autobots and their rivals, the evil Decepticons, managed to endure while at the same time delighting millions around the world. With this in mind, we have Activision's Transformers: Fall of Cybertron coming to consoles this August, but the big-budget third-person shooter is just one game slated to arrive in 2012. The other, Transformers Battle, is a promising and downright cool looking card battle game from developer ngmoco and publisher DeNA, with tremendous potential to become the next big thing on iOS and Android, largely because it taps into the Transformers legacy, specifically Generation 1 characters with a modern-day spin. Intrigued? You should be. Transformers Battle came about because of ngmoco's excellent working relationship with Hasbro, which was in part bolstered by the surprise success of another card battler, Rage of Bahamut. No, this isn't a rip-off of that game. It's more of an evolution, as ngmoco took a hard look at what made that title so good, then dreamed up ways to innovate on the formula. That said, and broken into its simplest of forms, the game involves the classic fight between good versus evil, split into two single-player campaigns, one for both the Autobots and Decepticons, with heavy inspiration from the original 80s television show. As such, the Autobots (led by Optimus Prime) attempt to save the Earth and mankind from destruction, while the Decepticons (presumably led by Megatron) seek to destroy it while grabbing as much Energon as their metal hands can carry. 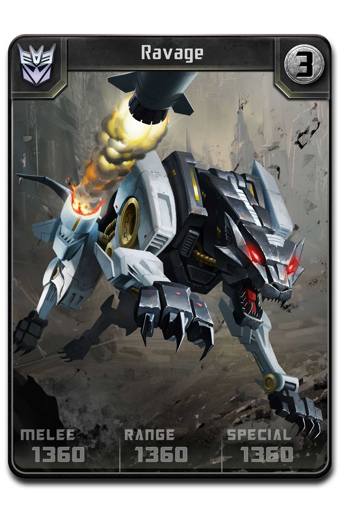 On that note, the goal is to create the ultimate Transformers deck of nine cards, and thus far, ngmoco has an impressive lineup of characters, like Optimus Prime, Ravage (no sign of Soundwave yet), Jazz, Hound and Thundercracker, all of which have different attributes spread across the following categories: Melee, Range and Special Attack. What's even more interesting, though, is the ability to acquire a Transformer's weapon or alternate form (in other words, the vehicle a robot transforms into). Do this, and you're able to combine cards to score bonuses. In fact, merging a robot with its alt-form causes the card to physically transform on screen. Emerge victorious, and you stand to gain valuable points, new cards and a shot at the mysterious Lucky Chance game. On top of that, you may recruit a new Transformer daily by opening the virtual space bridge. One of the biggest features, of course, will be online multiplayer. Here, it's all about building a deck comprised of heroes and villains, then competing against friends and random players in nine-versus-nine automated battles, where you stand to gain rewards if those opponents are your level or higher. 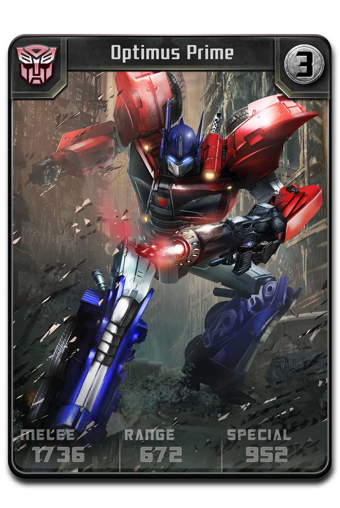 Factor in World Events to win rare cards, and Transformers Battle has a lot to get excited about. We've yet to see a release date, but ngmoco says the game should arrive on iOS and Android this fall. In the meantime, we'll cross our fingers for a simultaneous launch, and perhaps the best multiplayer addition of all, cross-platform play.